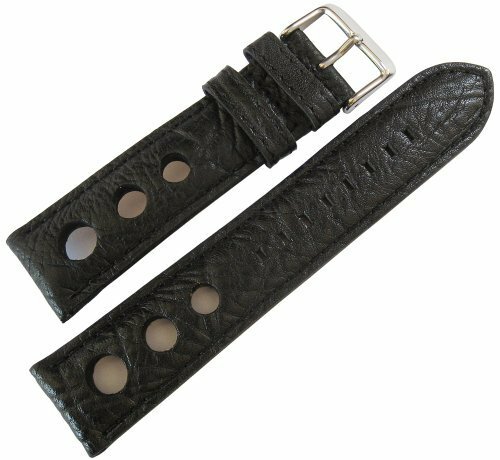 This water-resistant cowhide leather strap is manufactured by Fluco, a German company founded in 1952. Using a meticulous fifty-step process, Fluco produces beautiful leather watch accessories from its workshop in the Bavarian forest town of Furth im Wald. The sporty three-hole Rallye style allows perspiration to evaporate. Originally made famous on Heuer chronograph watches worn in 1960s-1970s auto road rally races, it is ideal for sports, pilot/aviator or chronograph watches.